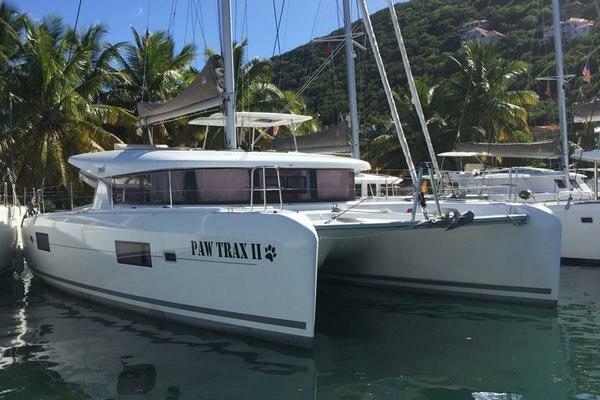 PAHI is a nearly-new, spacious 52’ (15.85 m.) Catathai catamaran built and launched in Thailand in 2016. Constructed with vinyl ester resin foam core hulls with a vacuum hygrometric controlled infusion technique, it is consequently unsinkable! It is powered by twin 33 hp Mitsubishi diesels which are still virtually new. Easy to see in Phuket, Thailand and it is an excellent starting point for your global cruise, with hundreds of islands and hidden coves to explore. For more information and a link to our extensive library of photos, please email listing broker! 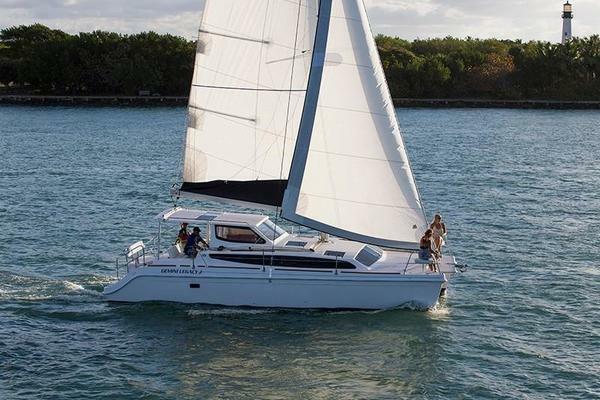 West Florida Yachts would love to guide you through a personal showing of this 50' Custom Catathai Catamaran 2016. This yacht for sale is located in Phuket Thailand and priced at $399,000. For a showing please contact us by filling out the form on this page and we will get back to you shortly! Guest accommodations include two double cabins and two single cabins, as well as a dinette convertible to a double, for a total of 8 sleeps plus 2 crew. There are heads in each hull, with electric toilets, showers and sinks. Between the spacious cockpit and forward trampolines, there is plenty of comfortable lounging area. An elevated helm station with 360-degree sight horizon makes for easy and safe cruising. The sizable cockpit can accommodate 10 or more in comfort. In the galley are a 2-burner cooktop, refrigerator, freezer, microwave and plenty of work space so that the chef can cook up favorite recipes for your family or charter guests. Freshly caught tuna is always on the menu. An elevated helm station with 360-degree sight horizon makes for easy and safe cruising. The sizable cockpit can accommodate 10 or more in comfort. The roller furling jib, lazy bag main, electric sail winch and anchor windlass permit safe and comfortable light-handed cruising. The dagger boards make for effective tracking in all points of sail and when up, permit an amazing safe approach to shore with less than one meter of draft. There are 6 solar panels and a 55 lph watermaker to enhance life aboard for extended cruising. There are also electric toilets in each of the guest areas and hot pressure water throughout, including at the transom swim shower. The included 3.5 m. RIB tender has a 15 hp 4 stroke outboard. The comprehensive electronics suite consists of B&G gear, including GPS, Radar, Chartplotter, speed, depth, autopilot and radio.